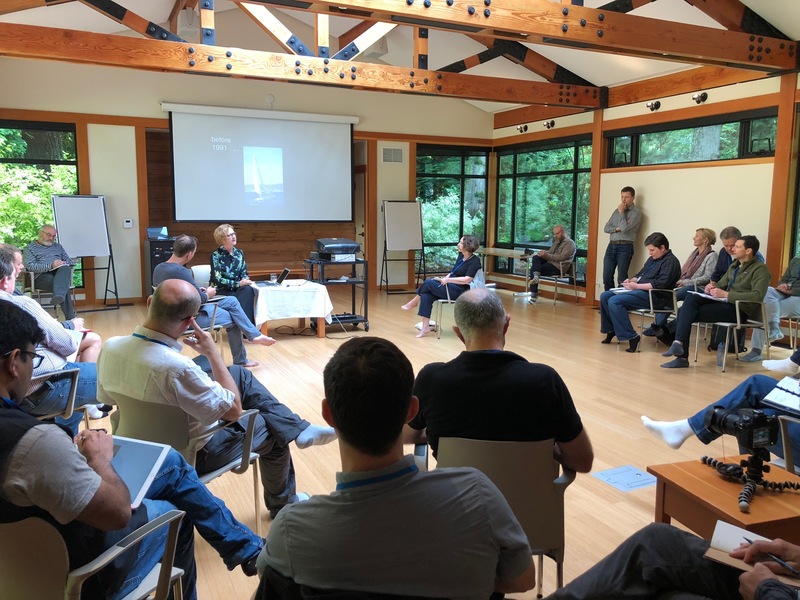 In June this year I had the privilege of attending the Cynefin Retreat in Whistler, Canada along with many Cynefin practitioners that up to then, I only knew virtually. The opportunity to finally meet in person was incentive enough to attend, however even that couldn’t compete with the stimulating ideas we engaged with over the 3 day event. There are too many highlights and learnings to capturing in a single post, so I will spread it out over a series of posts. 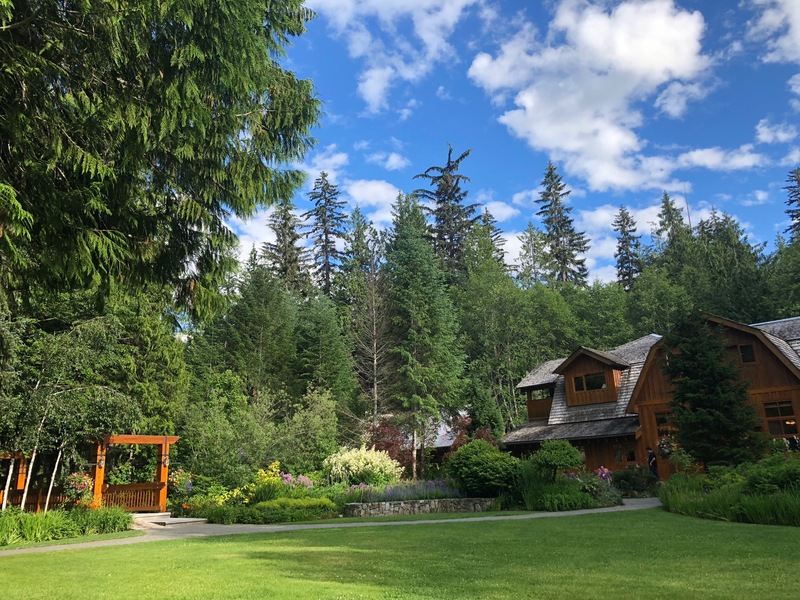 There were three faculty members at Whistler: Ann Pendleton-Jullian, Jesko von den Steinen and Reneè Koch. The theme was around Design, and specifically Designing for Emergence. On the first day Ann Pendleton-Jullian shared insights about emergence, design and the time she spent with Stanley McCrystal at JSOC. I’ve been following Ann’s work for a while now, and being able to spend some quality time with her was a personal highlight. For an excellent introduction to her work, I highly recommend these two videos on Youtube. Firstly, and probably most common, are building scaffolds: temporary structures that building crews use when constructing or maintaining buildings. Once the building is complete, the scaffold is removed i.e. doesn’t become part of the structure, but enables its construction. Thirdly there are scaffolds that aren’t removed and don’t dissolve away; they persist as part of the structure, but are transformed in the process. 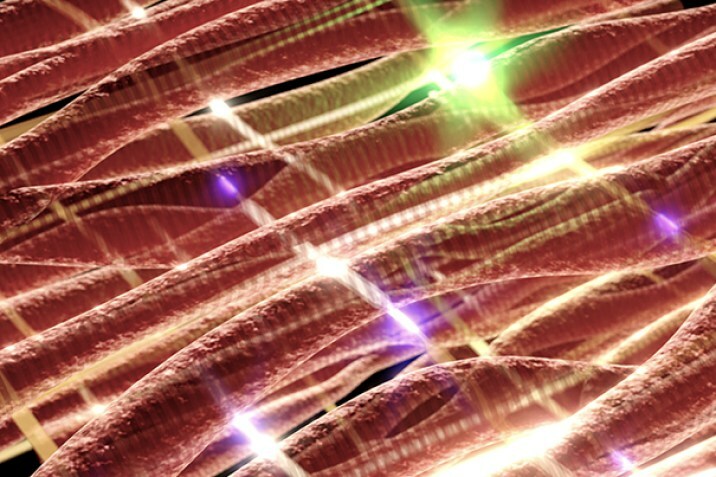 An example of this is the Bionic Cardiac Patch … formed by seeding nanoscale electronic scaffolds or mesh-like structures with cardiac cells. Once the cells have regenerated cardiac tissue and the patch has formed, the electronic components from the original scaffold are integrated throughout the tissue, creating an “internal pacemaker” able to detect arrhythmia and deliver correcting electrical shocks far sooner and operating at far lower voltages than traditional pacemakers. Most fascinating is that latest research shows it may be possible in future to simply do a co-injection of cells with the mesh, enabling the patch to self-assemble inside the body vs using invasive surgery. These physical scaffolds offer interesting analogies for us to reframe our thinking about the design of organisations and how we engage with them. For example, external consultants and coaches can probably be seen as external scaffolds, meant to be taken away once the work is done (problem is that they are incentivized to become permanent fixtures way too often!). These external scaffolds feel like useful analogies for the kind of interventions or support that is needed in the Complicated Domain of Cynefin. Expert consultants who come alongside the organisation for a while until their expertise is no longer needed. Methods and frameworks are also often positioned as permanent and non-changeable. Take Agile for example, many times frameworks like Scrum and SAFe are introduced into organisations as gospel. They are positioned as permanent, structures and/or processes that must implemented in certain ways and not be deviated from. I think it is much more useful to think of these frameworks as scaffolds, positioned as temporary from the beginning, starting points for the evolution of fit-for-context practices. Here I think the skin graft scaffold is interesting, how could these frameworks be positioned in a way that they stimulate and enable the emergence of fit-for-context practices while over time they dissolve away? Similarly, we tend to see roles and hierarchies in our organisation as permanent structures. In the new world of work where agility and responsiveness are priorities, these fixed role structures very quickly become obstacles to change and agile responses. 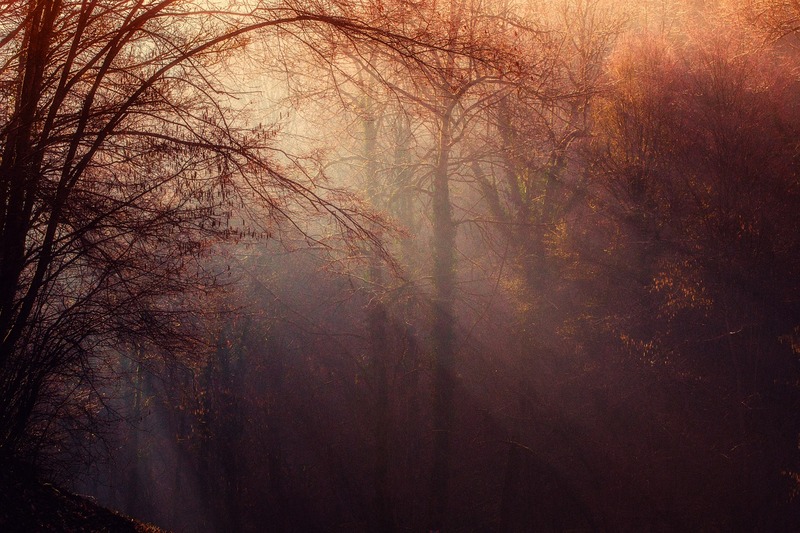 Could we shift our thinking to see roles as impermanent scaffolds? Could we avoid the seeming endless cycles of restructurings and create flexible and agile organisational structures scaffolded by enabling roles descriptions? If we apply the idea of the skin graft scaffold: what “nutrients” would activate the adaptive DNA that already exists in an organisation or team? What would the dissolving process look like as the nutrients are used for the creation of the new structure? These dissolving scaffolds seem to apply in the liminal domain between complex and complicated. Although none of them seem map neatly to a given domain. Thinking about scaffolds also stimulates questions about the role of networks in organisations. Could a strong, intentionally nurtured network be seen as a kind of scaffold – is the connective tissue that enables the emergence of new structures in our organisations. In the skin graft frame, the networks would dissolve once new structures form. Here the Cardiac Patch offers the most intriguing frame as it speaks of co-evolution and self-organisation: as the permanent structure emerges and evolves, the network itself is incorporated but fundamentally changed. In essence the scaffold only becomes fully functional once it has become an inseparable part of the new structure. How could this thinking change our ideas around scaling agility and fostering resilient or “anti-fragile” organisations with adaptive cultures? This kind of scaffold seems to fit best in the complex domain of Cynefin. These are just some of the questions and ideas that came up for me as Anne spoke about these various scaffolds. It makes me curious to know if there other types of scaffolds that could offer different thinking frames? Could one type of scaffold morph into another over time? As you can see, I came away from this with more questions than answers. I am really curious to know what ideas/questions come up for you? Do you have examples of other kinds of scaffolds? Or ideas for how the analogy could apply in your work with organisations? I’d love for you to share these with us in the comments section below.